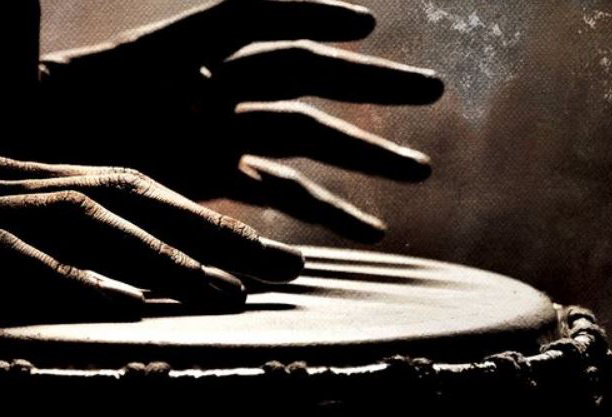 IMPORTANT: Spaces for the FULL DAY HAND DRUMS & PERCUSSION COURSE in March sold very fast, hence WE RECOMMEND BOOKKING EARLY! This day is a wonderful opportunity for newcomers as well as seasoned hand drum and percussion enthusiasts of all ages to work intensively on developing their understanding of rhythm and exercise their manual dexterity under the guidance of professional drummer and percussionist Rick Wilson. Rick is an experienced tutor of many years, drawing from his extensive repertoire of Indian, African and South American rhythms, which he makes accessible in astonishingly creative ways whilst providing a joyful and focused learning experience. The workshop is designed around aspects of percussion such as the sounds of the drum, hand and finger techniques, solid, basic timekeeping, body rhythms, spoken words as a basis of rhythm, call and response rhythms, 2, 3 and 4 part rhythms, as well as a variety of other rhythmic activities that, besides drums, involve the use of bells, gongs, chime bars, shakers and more or less anything else that comes to hand and springs to mind. 1pm - 2pm Free Lunch in the Pews Your hosts at The Hermon will serve a delicious, vegetarian lunch of homemade soup, bread and fresh salad for all participants to enjoy – a lovely opportunity to socialize and regain strength for the afternoon session! Drinks can be purchased from our in-house bar. Please bring your own drum and percussion instruments if you have any, but no worries, there will be plenty of instruments at hand! Whatever your experience, plenty or none at all, be sure to bring your enthusiasm – come and make a joyful noise! DRUM CIRCLE FORECAST: Please watch this space ! New date announcements for our monthly drum circle at The Hermon with 2-hour sessions throughout the autumn will be made here soon – plenty of opportunity for extending your gained skills in this friendly group!